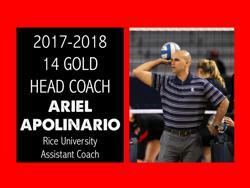 2017-2018 14 GOLD HEAD COACH ANNOUNCED! Who’s ready for the new club season!? Willowbrook Staff and Coach Ariel are!! !